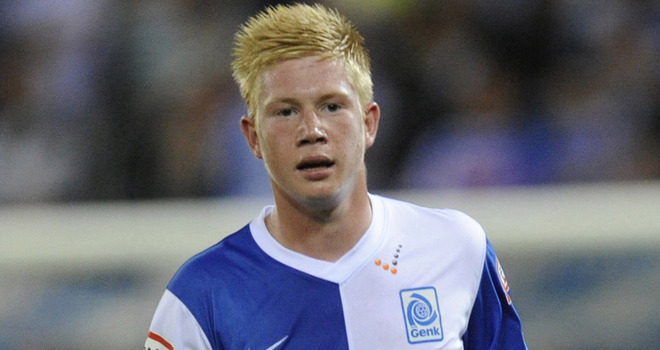 Belgian starlet Kevin de Bruyne is ready to sign for Chelsea, it is revealed. Also, Anderlecht have finally confirmed that they are in negotiations with the Blues over Romelu Lukaku. De Bruyne has just helped Genk to the Belgian title and the 19-year-old is regarded as one the best young midfielders in European football. Chelsea have long been tracking him and it certainly seems that a deal is being discussed and looks set to be concluded. De Bruyne's agent Patrick de Koster has told Sky Sports that the player looks destined for Chelsea, but as part of that he is more than happy to move to Anderlecht on loan. Chelsea have been tracking the midfielder for a number of months, and de Koster confirmed that they were de Bruyne's first choice, despite interest from the likes of Manchester City and Liverpool. Whilst all sides deny that de Bruyne is directly linked to the move for Lukaku, it is no doubt aiding Chelsea's negotiations with the Brussels outfit; who have now for the first time confirmed talks are under way with the London giants. Reports in Belgium suggest both deals could be struck this weekend.